Members of Love Home Swap now have three fabulous ways to travel & save! That's not to say things will be any more complicated, just more flexible to your needs & requirements. Today's guide to the three Love Home Swap options will show that however & whenever you want to travel there's a fun, easy to use, money-saving way. Members of Love Home Swap now have three fabulous ways to travel and save! Whatever it is your after, be it a swap weekend or a vacation home to rent, we are flexible to your needs & requirements. Today's guide to the three Love Home Swap options will show that however & whenever you want to travel there's a fun, easy to use, money-saving way. Ahh, where it all began - the Classic Swap. This traditional approach to home swapping involves two members simply swapping homes with each other. 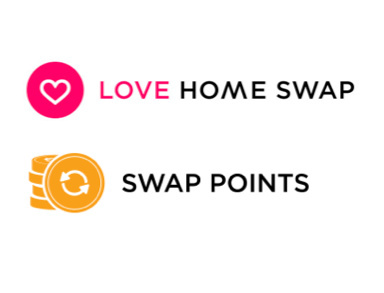 Most of our home swaps take place in this way, which is no surprise really considering we have 47,000+ homes around the world signed up for this good old swapping. Not too long ago, we introduced Vacation rentals - our aim being, to facilitate wonderful holidays when a straight swap maybe isn't possible. By renting your home or renting someone else's home through us, you're guaranteed a friendly community of lovely homes. And finally, we turn to our world-first Swap Points. We're making home swapping even easier by eliminating a common stumbling block - matching exact dates or destinations with other members. Our members can now pledge time in their home in exchange for points, which they can use to stay in beautiful homes around the world for free. So remember, members now have three different ways to travel with Love Home Swap: Classic Swap, Vacation Rentals or Swap Points. Choose a route that suits you!